While Stowe is a popular destination for skiers and snowboarders, it was also named a “New England Ski Town that Even a Non-Skier can Love” by the Boston Globe. Stowe’s landscapes, trails and mountains are just waiting to be explored by locals and visitors. Snowshoeing is a great way to get outside – whether you’re on vacation or a local resident. This 5.3-mile long Rec Path is perfect for those looking for mostly flat and level snowshoeing trail. View stunning wintry scenes along the Rec Path, while breaking to fuel up at a restaurant or café along the route. The Rec Path is free and easily accessed at multiple points. Kirchner Woods is 75 acres of easily accessible, multi-use trails and Wiessner Woods features 79 acres. 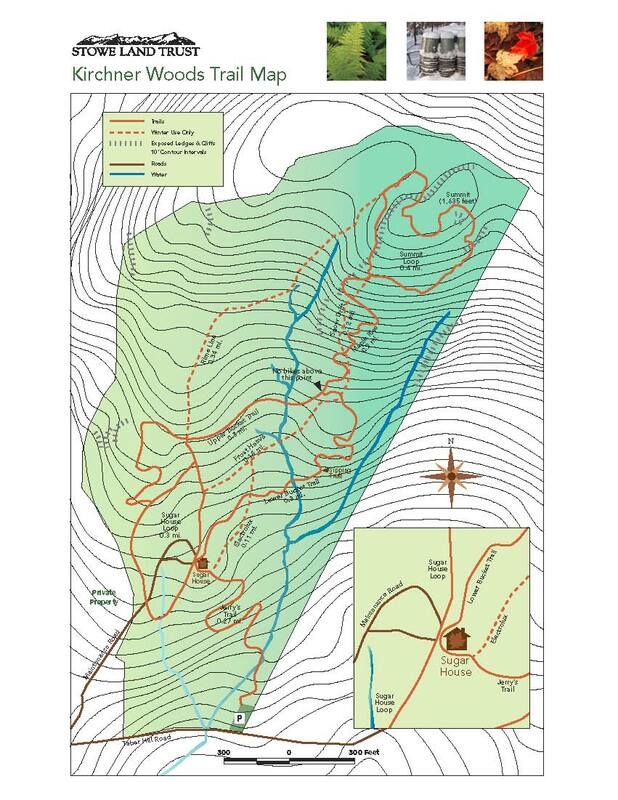 Both are great options for adventuring snowshoers and they are conserved by Stowe Land Trust. These trails are perfect for a quiet walk through the woods, as motorized and mechanized recreation is prohibited. The Trapp Family Lodge is a popular destination for outdoor enthusiasts and offers 2,500 acres to explore. Snowshoe on more than 60 miles of trails with terrain suitable for every fitness level. Choose your own trail, or snowshoe with a local expert on a backcountry expedition.